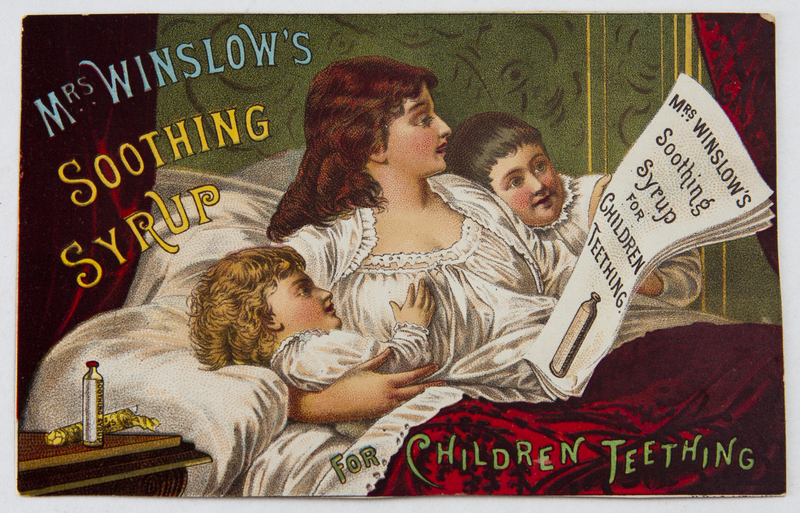 A popular 19th-century patent medicine designed to sooth teething babies, Mrs. Winslow’s Soothing Syrup was widely available in the United States and Canada. Chief among its ingredients was morphine, an opium derivative. Opium is a drug derived from the poppy plant and mothers had used it as early as the 1600s to induce sleep in babies. Evidence that many children given Mrs. Winslow’s died, likely from overdosing, led to it being dubbed ‘baby killer’. 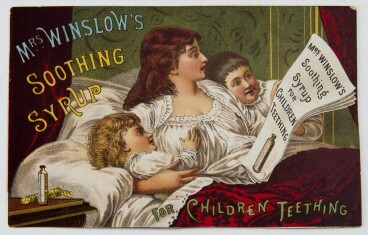 The dangers of unregulated patent medicines prompted the Canadian government to adopt drug control laws in the early 20th century.